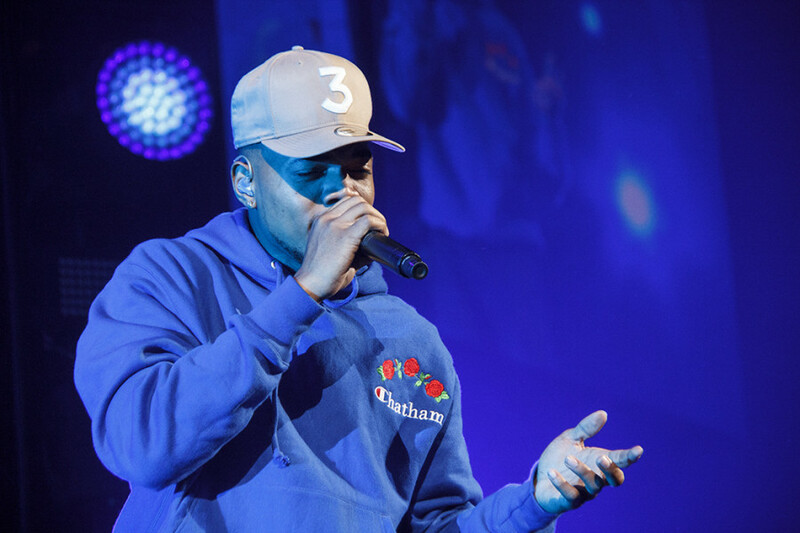 Chance The Rapper performs at the Bell Centre on May 25. Photo by Nikolas Litzenberger. Concerts are near religious experiences. 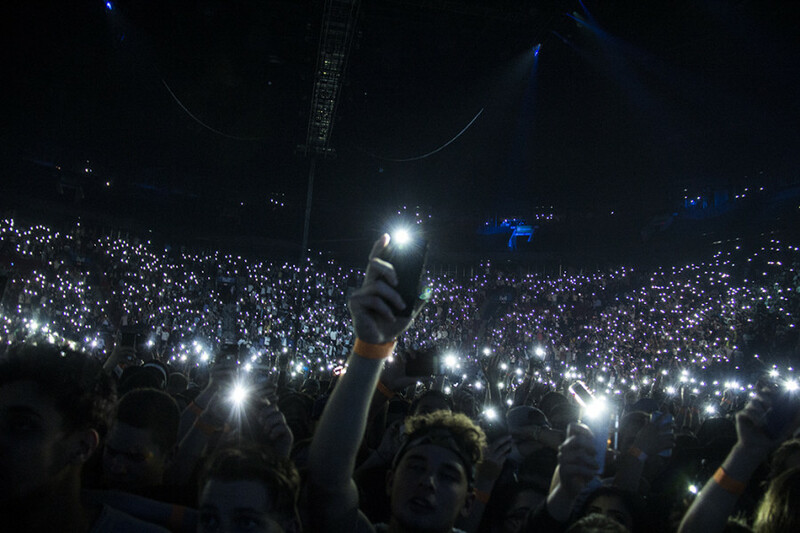 An artist or band croons and puts their audience in a trance, while the crowd responds by singing, throwing up lighters, and screaming at the top of their lungs. Why concerts are usually near religious experiences and not replacements for the genuine article usually has to do with the lack of religious symbols, church pews, and a pastor or leader to reign everyone in. 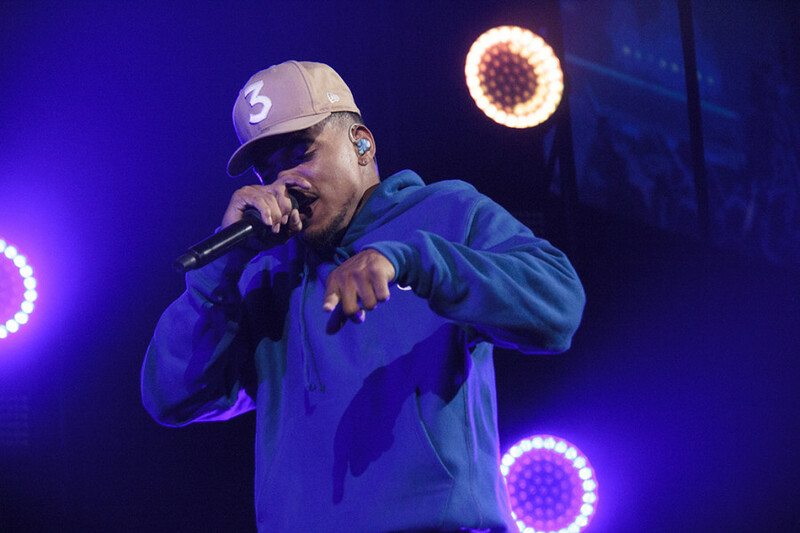 Almost two years removed from his last concert in Montreal, Chicago rapper Chance the Rapper brought the Bell Center to worship Thursday night as part of his Be Encouraged Tour. The 24-year old talent uses God and religion as a major theme in his music, but he’s far from preachy. The three-time Grammy Award winner performed the bulk of his material off his smash mixtape from 2016, Coloring Book, the first non-physical album to win a Grammy. However, there were splashes of Acid Rap in his set, and his verse from the DJ Khaled summer jam “I’m The One” was also frequent. Chicago’s own Chance The Rapper performs on the Bell Centre stage. Photo by Nikolas Litzenberger. Minus a few imperfections, like the overuse of pyrotechnics and out of sync audio for certain effects, Chance endeared himself to the Montreal crowd. Assisted by his backing band, the Social Experiment, Chance was energetic for most of his set. There were brief lulls, but he always managed to wake the mostly teenage crowd up with a popular anthem. 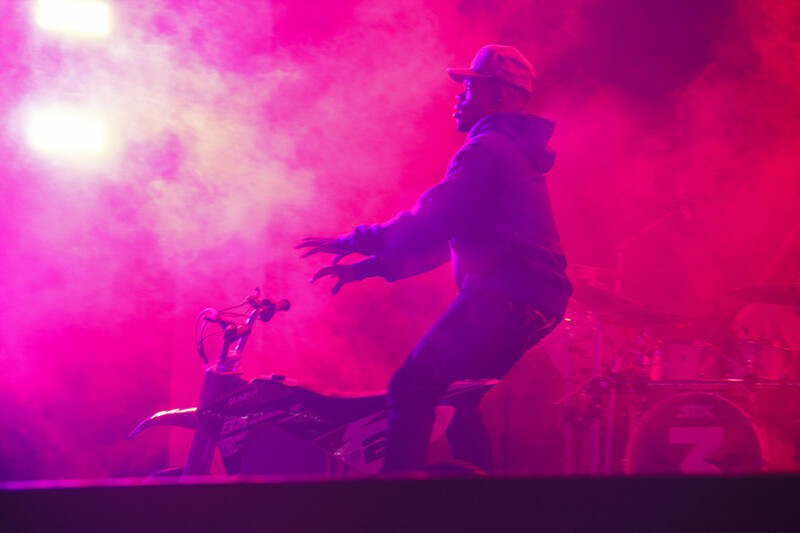 The rapper entered the stage on a motorbike before jumping into “Mixtape”, “Blessings”, “Angels”, and the underrated “Smoke Break”. Soon enough, the indie wunderkind delved into a trio of Kanye West cuts including his own version of “Waves”, the popular “Father Stretch My Hands”, and the glorious “Ultralight Beam,” which sent fans hands into the air in a scene reminiscent of a Sunday sermon. 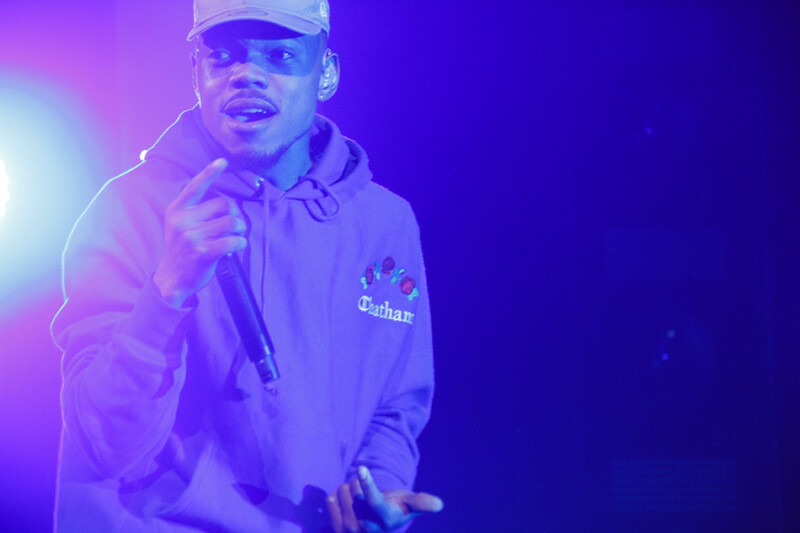 Chance has made his name as an independent artist, but he’s never openly poked fun at record labels. He could easily puff out his chest and boast about his accomplishments a la Kanye, but unlike his older mentor, he doesn’t have the same braggadocio qualities. Instead, he left it up to graphics being displayed behind him onstage, parodying popular labels such as Sony (“Phony”) or Warner Music Group (“Wiener Music Group”). A packed Bell Centre sings along with Chance The Rapper. Photo by Nikolas Litzenberger. Another major highlight had Chance walking along a glowing bridge that hung above the Bell Centre floor. All the while he sweetly sang “Same Drugs” while looking down at the fans below him, who were mostly dressed in Chance 3 hats. It was hard to resist purchasing one at the Bell Centre. Word on the street was that they cost $65 a pop. 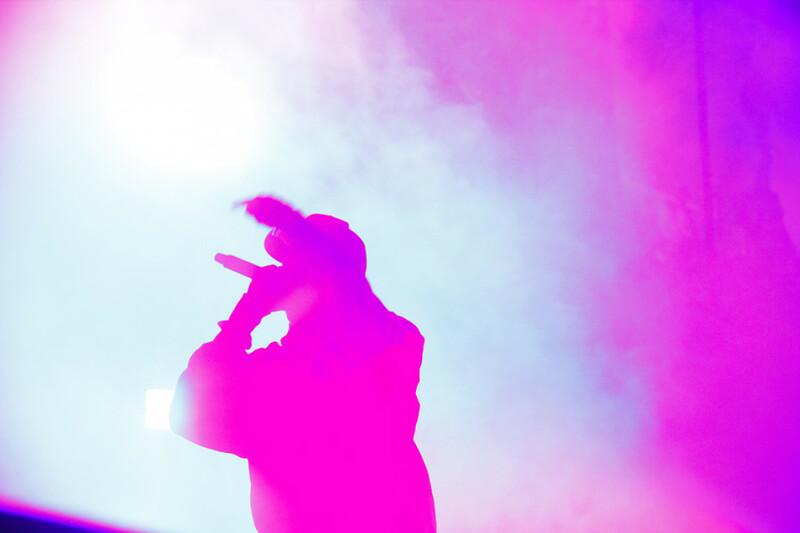 Before Chance delighted fans, fellow Chicagoan rapper King Louie opened the show in the early stages of the concert. 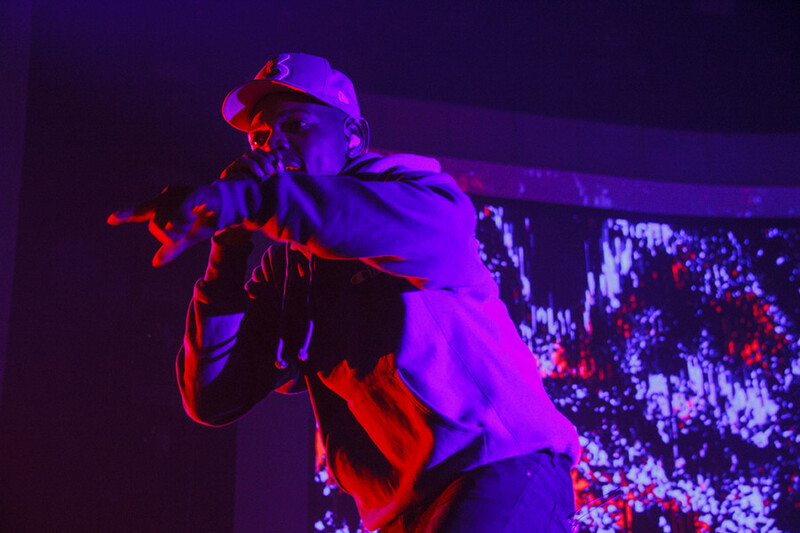 Outside of performing his verse from Kanye West (there’s that name again)’s “Send It Up” off Yeezus, he failed to grab much of the crowd’s attention. It’s the terrible hand you’re dealt with when you’re performing as the majority of the crowd is still spilling into the arena. 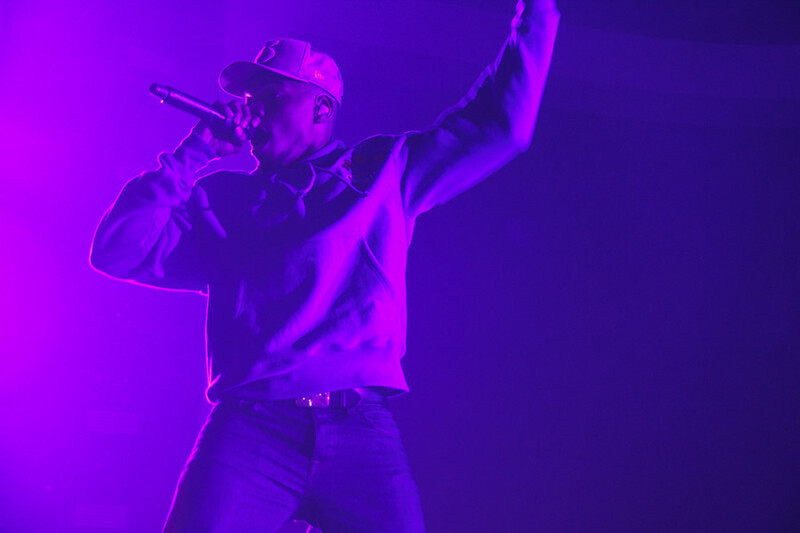 Chance The Rapper took his fans to church. Photo by Nikolas Litzenberger. DJ Oreo was another element of the pre-Chance portion of the evening, but he did a much better job of hyping the crowd up, almost too well. He called on fans to tweet him song requests throughout his set, and made a 10-year old’s day by inviting him to the stage for his birthday. The biggest highlight was when he played “Somebody Like You” by Adele, allowing thousands to belt out the popular ballad before quickly transitioning to Kendrick Lamar’s “DNA”. In the span of four years, Montreal has seen Chance the Rapper go from relative unknown to budding superstar. It’s surreal to see an independent artist who refuses to give into major label demands become as successful as he has without an official record to his name. 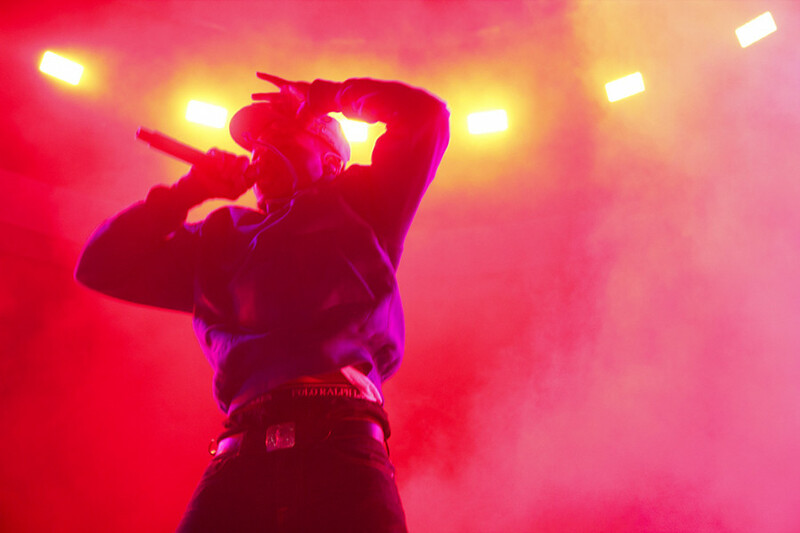 The sky’s the limit for Chance, and as he has God on his side, he hopes to reach another echelon. The performances on his tour may dictate whether he is truly ready for it.